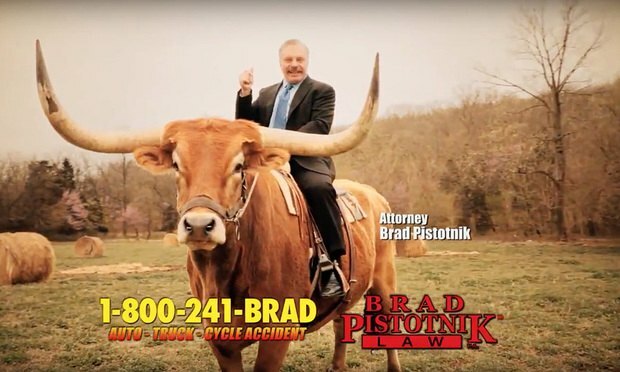 A Kansas personal injury lawyer who rides a bull and uses the animal as a nickname in TV advertisements faces criminal charges for alleged cyberattacks he directed. A Wichita, Kansas-based personal injury lawyer known for riding a bull in television advertisements has been charged with directing a software engineer to cyberattack websites such as Leagle.com and Ripoffreport.com that contained negative reviews of the lawyer. Firms including Cooley, Paul Weiss, McGuireWoods and King & Spalding used the Great Recession to chart a new path to success. The litigation funder recently opened up a presence in Australia and invests in litigation and arbitration globally. crucial stages of the venture financing process.